Vanissa was born in Hong Kong and began her studies at the Hong Kong Baptist University in 2004, started out as a piano major and studied piano with Chinese composer Mr. Cui Shiguang. 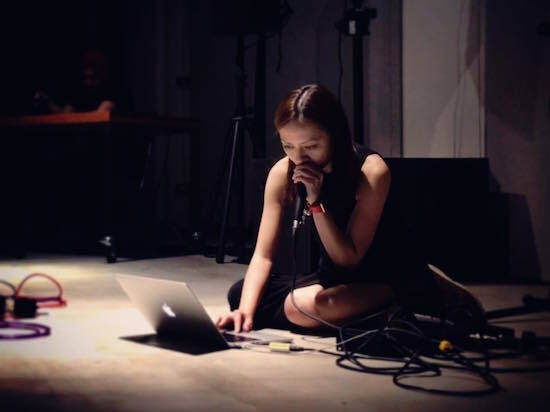 After graduated from HKBU Vanissa turned her focus towards electroacoustic music composition during her stay at Ball State University, Indiana, majoring in voice and music composition. She was the winner of the regional (Indiana) audition of the National Association of Teachers of Singing in US in 2008. Vanissa returned to Hong Kong in 2010 and obtained her PhD in 2016 under the supervision of Prof Christopher Keyes. Vanissa’s pieces and installations have been premiered and exhibited internationally at various events and festivals including the 13th International Conference on New Interfaces for Musical Expression (Seoul, Korea), Society of Composers (SCI) Region VI Conference (Texas, US), University of Central Missouri New Music Festival (Missouri, US), the soundSCAPE festival (Italy), 2013 International Workshop on Computer Music and Audio Technology (Taipei) and Hong Kong Arts Festival. Vanissa was granted the Fulbright Research Award and was sponsored to do a 10-month research at Louisiana Digital Media Center in 2014-15.